We encourage a lifestyle of wellness, health, and comfort, and we take this into consideration when we choose the products we carry. That is why we have selected the best nail products for our guests' convenience. OPI Polish: This ever so popular nail polish brand, with great care, will last for one to two weeks. Dazzle Dry: This polish is a non toxic, 100% vegan, non-animal tested, nourishing nail polish that dries rock hard in five minutes and is chip free two to three weeks. Shellac (Gel): True to form, this Gel does not chip and lasts for three to four weeks. DASA Dip (with extensions): You will only find this special service here! Our nail care specialists combine our secret formula (tips + gel + acrylic dip) onto your natural nail bed to create the most spectacular set of nails you've ever had. Lasts three to four weeks, at least. Our express manicure and pedicure options are great for getting perfect nails in a pinch. These treatments include all cuticle and nail work as well as the polish application. This creation of DASA DIP comes with a tip extension on your natural nails and the combination of our Secret gel + acrylic formula. Proper removal of gel nails takes time so we ask that you inform us you will need a removal at the time of booking. We currently do not remove or apply acrylic nails. These lavish treatments include a house-made scrub, manual callous removal, hydrating masque with hot towel wrap, massage, and all cuticle and nail work with a polish application. This creation of DASA DIP is applied on your natural nails. Proper application of gel nails takes time so we ask that you inform us of this request at the time of booking. We currently do not remove or apply acrylic nails. Build your own custom nail treatment or make one of ours a little more special! Just like it sounds! 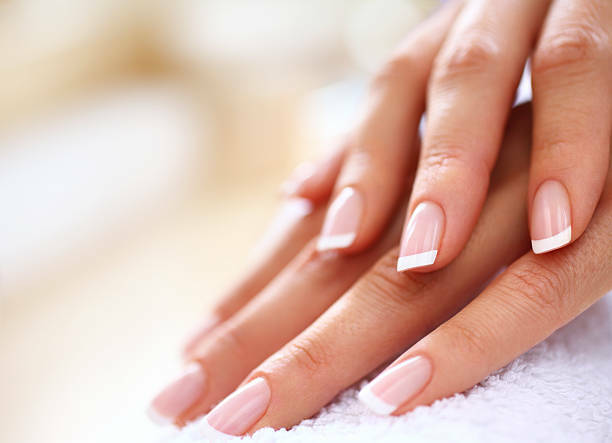 Have your nails buffed and polished by our experienced nail technicians. Add on a scrub, masque, and/or massage time to build your own custom service!